Get the kids creating masterpieces with this fun art set! Set includes 52 artsy pieces. 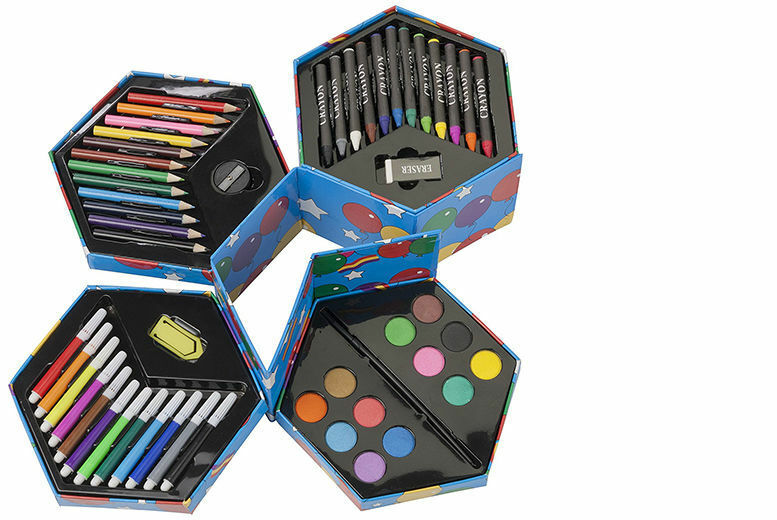 Including 12 felt tip pens, 12 crayons, 12 colouring pencils, paints a paintbrush & more! Perfect gift for the kids. In a fun hexagon carry case that opens out to a neat display. They can draw, sketch, paint and colour ’til their hearts content.